It’s a permanent part of the townscape. It’s always there, but maybe we hardly notice, unless we are asked to pay close attention to it. The white dots on the pavement. With time, it just looks like small splashes of paint, but in fact it is old, thoroughly chewed gum. It is everywhere and at CBS too. Jakob Fals Nygaard, the building technician for Campus Services at CBS, shows me a before and after picture of the south entrance at Solbjerg Plads. On the ‘before’ picture, the paving is covered with lots of small, white dots made up of old chewing gum. On the ‘after’ picture the paving is all cleaned up. “Wow. How could I not notice that change? I walk through that entrance every day,” I burst out. “Chewing gum is a big, but under prioritized problem. We have a certain amount of money in our budget every year, and this issue is being pushed down on the list of things we want to deal with. But having the entrance in front of Solbjerg Plads cleaned up was an eye opener for us,” says Jakob Fals Nygaard. Silas Storgaard and Dylan Bastved met each other while studying HA Almen. 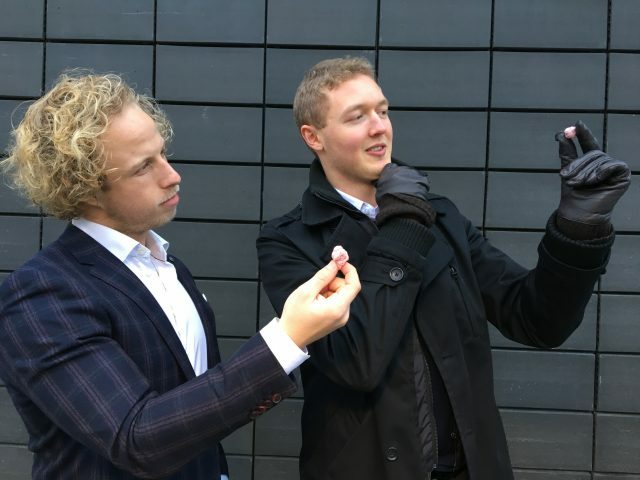 One day, Silas Storgaard presented the idea for gum removal to Dylan Bastved. To check whether there was an issue or not, they took a peek at the entrances at Solbjerg Plads and could see that, yes, there was a problem. And off they went with their idea 1,5 years ago. 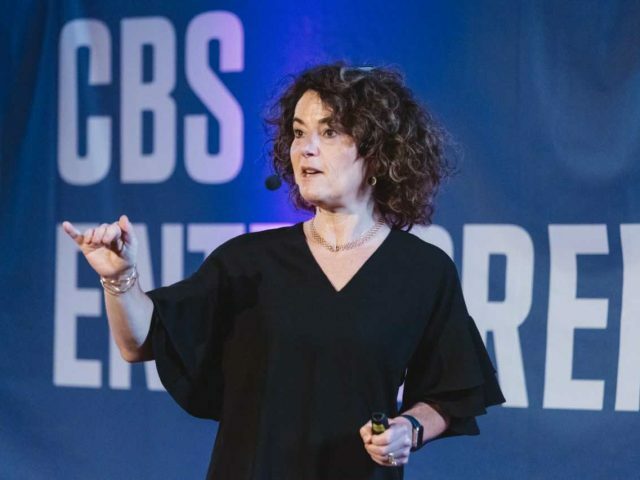 Gum Solution has been part of the Copenhagen School of Entrepreneurship, but is on their own now. It is not Silas Storgaard and Dylan Bastved who remove the gum. They sell the machine, which can be carried like a backpack. Bottles with the liquid used to remove the gum follow the machine. 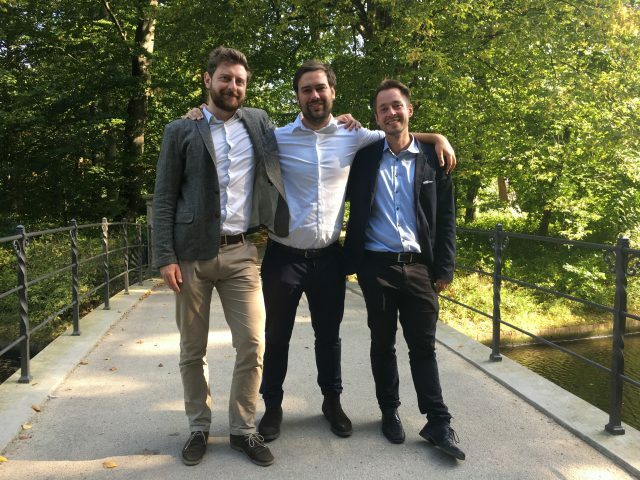 Back in the autumn of 2017, Campus Services teamed up with the CBS start-up, Gum Solutions, to get 200 square meters cleaned of old chewing gum. “We have a picture of a tile with 72 pieces of old gum on it. But in total, we removed 10,000 pieces from CBS. 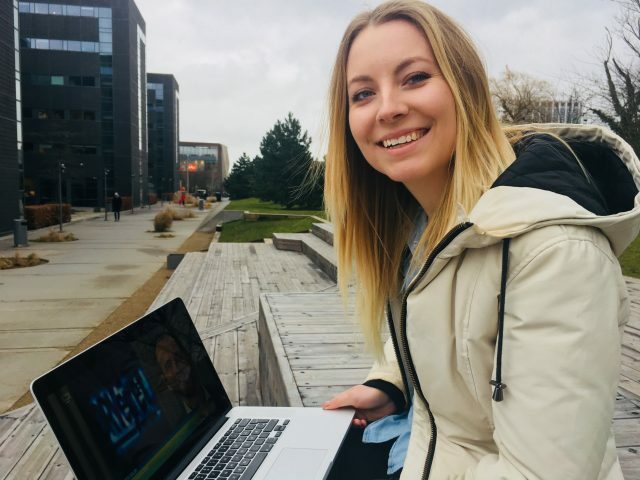 If you think about it, it’s pretty gross,” says Dylan Bastved, who is doing a Master in International Marketing and Management at CBS, and is co-founder of Gum Solutions. 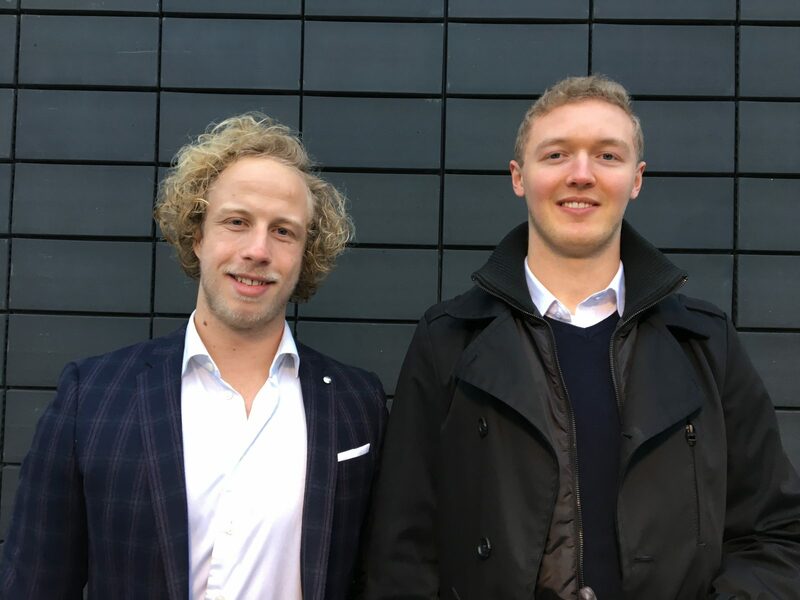 Together with Silas Storgaard, who studies HA Almen at CBS, they came up with the idea for Gum Solutions. What they do is that they sell a machine invented in Britain. The machine releases a pH neutral steam made out of sugar beets and it heats up the gum so that it makes it easier to scrape off. It’s gentler on the surface of the tiles and cheaper, explains Silas Storgaard. 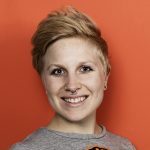 “Normally, it costs up to DKK 10 to remove one piece of gum from the ground. Frederiksberg Kommune estimates that it costs them DKK 3-5 to remove one piece of gum. We can remove one piece for DKK 0,5. And it leaved no marks on the tiles afterwards, as it doeswhen you use a high-pressure cleaner,” he says. 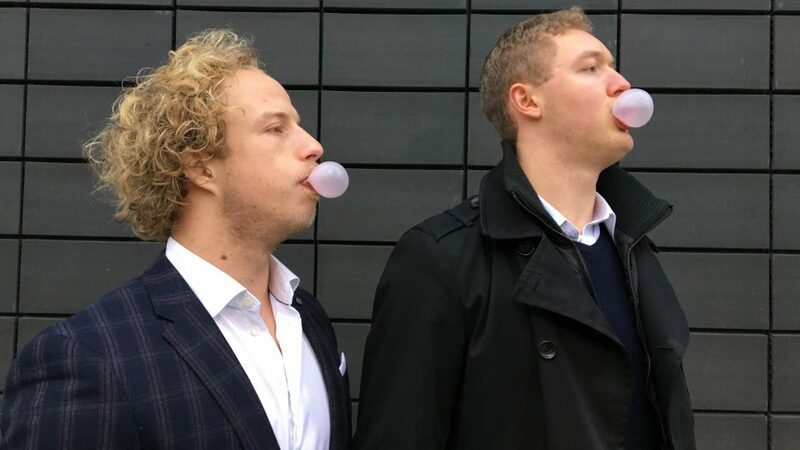 Chewing gum removal is, according to Silas Storgaard and Dylan Bastved, a massive problem. They have been in contact with several of the municipalities in Denmark and asked the personnel who works with city cleaning about it. They all agree it’s a big problem. The non-profit organization, Keep Denmark Clean (Hold Danmark Rent), estimates that about every fourth piece of trash thrown on the street is chewing gum. And then it’s hard and costly to remove. A calculation from the municipality of Copenhagen shows that the municipality spends about DKK 7,5 million to remove chewing gum. And that’s only for removal at City Hall Square. If the gum is just left to itself, it takes about 10 years to decompose in nature. “Dylan and I are the kind of people who want to solve problems, so it seemed obvious to solve this problem. It actually came as a surprise to us that Denmark hasn’t come up with better solutions earlier,” says Silas Storgaard. “The people we have talked to so far all agree that it looks awful. But most people have given up on the challenge. It’s a shame that we are just used to our cities looking disgusting and ugly because of all the gum,” says Dylan Bastved. Jakob Fals Nygaard from Campus Services was part of the project when Gum Solutions came and cleaned the pavement in front of the entrance at Solbjerg Plads. He hopes that gum removal can be a part of the budget in the future. Hopefully, a cleaner CBS will help people to try keep it clean themselves, he argues. “If we had all the surfaces around CBS cleaned every now and then, I think people would be more aware, and not spit out their gum on the ground. It’s kind of the same with toilets. If you go to the washroom and it’s all nice and clean, then you leave it nice and clean,” he says and mentions that they haven’t thought of other ways to make people spit out their gum in trashcans. “We used signs to nudge people to smoke a little bit away from the entrances and put out the cigarettes in the trashcans, but still, you see a lot of cigarette butts on the ground. The same would go for the gum chewers,” he says. 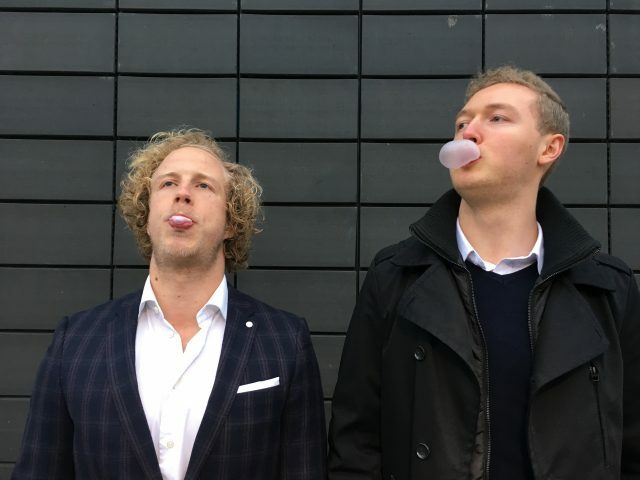 However, as much as it came as a surprise to Dylan Bastved and Silas Storgaard that no one had found a cheap, easy, and eco-friendly solution to the sticky problem, it has also been a surprise that only a few people seem to give Gum Solution’s gum removing-machine a try. Silas Storgaard and Dylan Bastved will, however, keep fighting to get a cleaner townscape, free of white, gum dots. 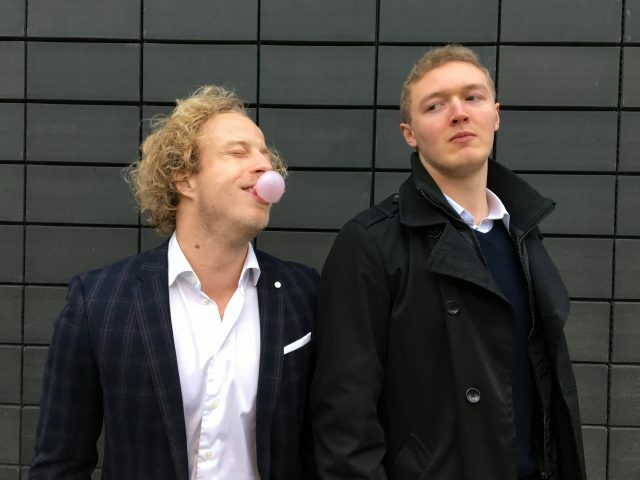 The municipality spends DKK 10 on removing one piece of gum. Gum Solutions can remove one piece of gum at the cost of DKK 0,5. It is estimated that Copenhagen Commune spend DKK 7,5 million a year removing gum from City Hall Square. 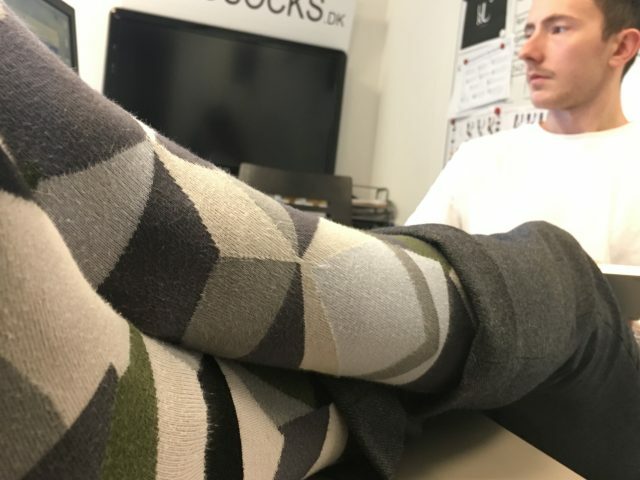 According to Dylan Bastved, the municipality of Copenhagen can save more than DKK seven million a year on gum removal at the City Hall Square.